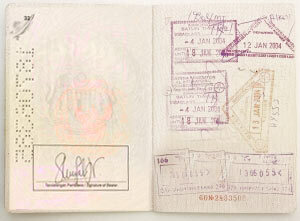 There are a number of different visas available for those wishing to travel to Pakistan. The tourist and business visas can both be applied for at the nearest Pakistan Embassy. The application form is available online. Those wishing to travel to Pakistan must have a passport valid for up to 6 months, must give details of the reason for their visit, the duration of their visit, the city of destination and the port of landing. They must give details about their profession and provide proof that they have enough funds to support their stay in the country. They must also provide the names/ contact details of friends or family in their country of residence and in Pakistan.